Gardens - Domaine de France Gîtes, Chambre d'hôtes - Holiday rentals. Penne d'Agenais, Lot et Garonne, Aquitaine. This region has some amazing landscapes and some beautiful gardens to visit. ​You can find some beautiful green oasis in some amazing places. Many of the towns have lovely public gardens and water parks such as Bordeaux with its public gardens along the curving river quays. The grand Place de la Bourse, centered on the Three Graces fountain, overlooks the Miroir d’Eau reflecting pool. This nursery was founded in 1875 by Joseph Bory Latour-Marliac for the propagation cultivation and commercialisation of hardy water lilies. ​the small Museum holds information about Monet's purchases. If you have lunch your entry fee is refunded. ​Hidden away, on the outskirts of Marmande. A beautiful set of different gardens to while away a couple of hours. I would not describe them as outstanding, but worth a visit. Decorating the cloister is a lovely formal garden with partererres and topiaries in box and yew. 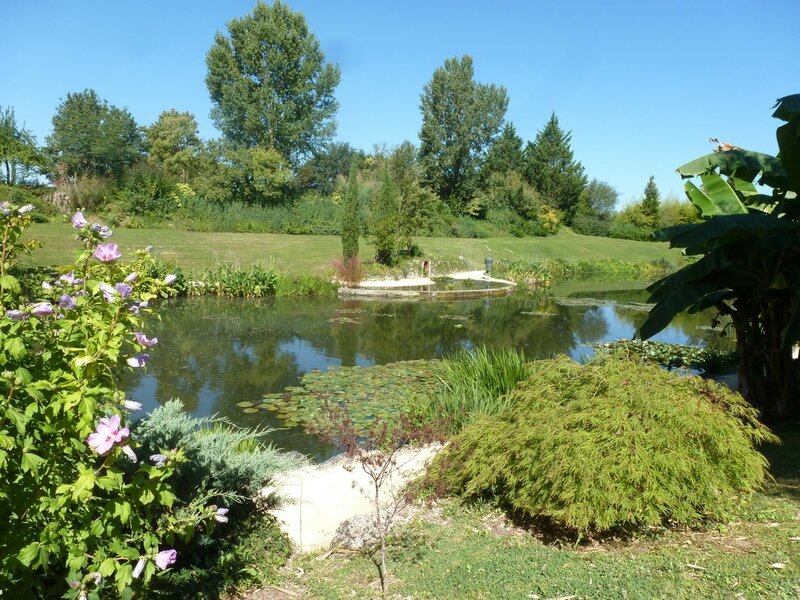 The garden is very restful and well worth a visit during a shopping trip to Marmande. A long drive to see a garden, but it is probably one of the best gardens I have been to. ​Do check their web site. Perhaps on the way here or home you may be able to visit. Situated on a hill overlooking the Dropt Valley, its gardens include vegetable gardens considered “remarkable” by the ministry of culture. The site has a lot of charm and the park includes topiary and an alley of cedars planted in 1860. The “potager” has been planted in the medieval style with vegetables and flowers together.